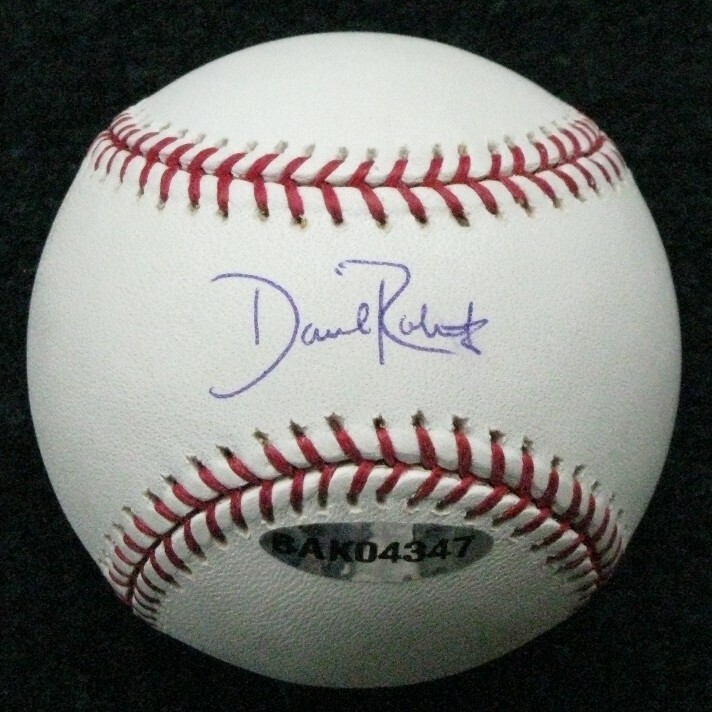 Here is a signed Dave Roberts baseball. Dave was on the 2004 Boston Red Sox World Series winning team. He had the memorable steal in game 4 of the 2004 ALCS thanks to a Kevin Millar walk.